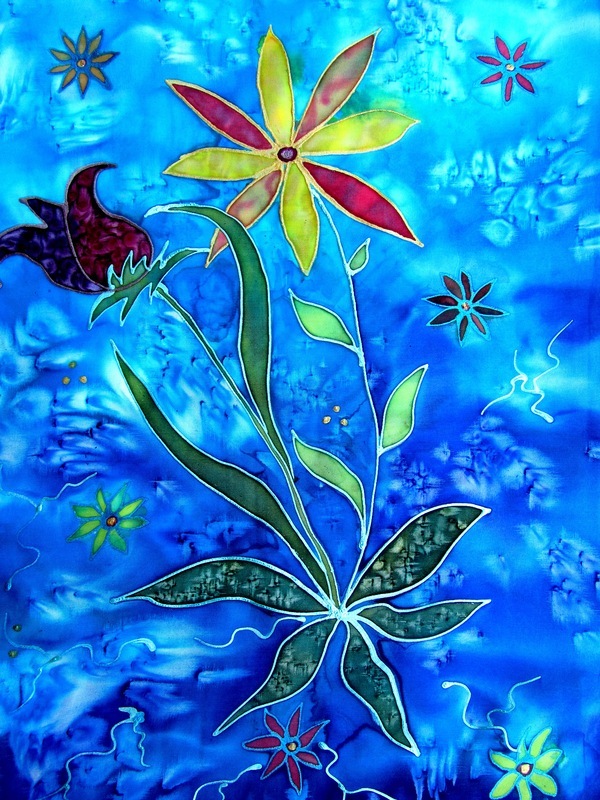 ​Painting on silk has been part of my life over many years, making scarves, cushions, ties and cards. 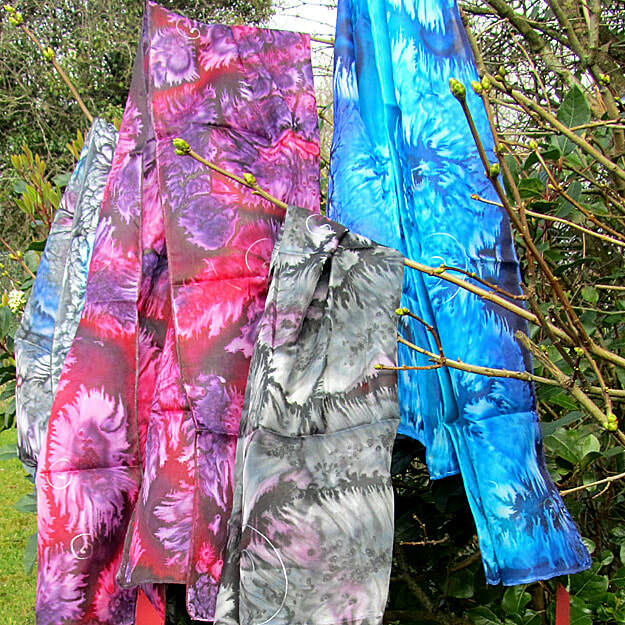 I enjoy the flow of the colours on the wet silk and the effects the various techniques form on the drying silk, making the painting process and the created work a unique experience. ​I am also involved in knitting, crocheting and other crafts. Making something that is different from mass produced items has always interested me as I believe that handmade objects enrich our surroundings in a very special way.